Constructive dismissal is when an employee resigns in response to a major breach of contract by the employer; there has been a recent caselaw development which informs the decision how to resign. See this page for more on this topic. One of the elements an employee must show for a successful claim is that they resigned promptly after the breach, otherwise an Employment Tribunal (ET) may conclude that the they ‘affirmed’ (accepted) the breach of contract and so could not have resigned ‘in response’ to it. Commonly the employee complains that the employer has breached the implied term of mutual trust and confidence. This is conduct showing that the employer intended no longer to be bound by the employer/employee relationship. An employee who asks an employment solicitor how to resign will be told they can use either (1) one major breach; or (2) a series of events ending with a ‘’last straw’ (which does not need to be significant). Often, the employee lets a number of events slide, before claiming that the last one has broken the camel’s back and that the weight of the straw as a whole has broken the camel’s back. The question is how this fits with the idea that once a breach has been ‘affirmed’, does that take it off the camel’s back so that the employee can’t rely on it? A recent EAT case looked at this question. 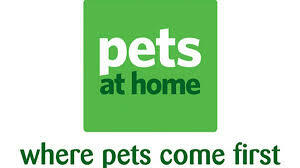 Mrs Mackenzie started working for Pets at Home in 2007 as an Assistant Manager. In 2014, she told Pets at Home that she was pregnant. Shortly afterwards she applied for promotion, and after an assessment, she failed in her application. In January 2016 whilst on maternity leave, the promotion opportunity became available again, and she applied for the role but again failed to clinch it after undergoing an assessment. She let this go (‘affirming’ the breach). In March 2016, Ms MacKenzie found that a less experienced Assistant Manager (whom she had previously managed) had got the position. She found this to be the ‘last straw’ and resigned in response. The Employment Tribunal (‘ET’) accepted Ms MacKenzie finding out a lesser experienced colleague was promoted as the ‘last straw’ and found the failure to promote her on both occasions was discriminatory and amounted to Pets breaching the implied term of mutual trust and confidence. Pets at Home appealed to the Employment Appeal Tribunal (‘EAT’). The EAT found for Pets at Home. It thought that the ET had failed to consider whether the two acts of discrimination had been affirmed or not. It found that the first failure to promote was affirmed (over a year before reisignation) and the second one too (three months previously). In this context, resigning ‘promptly’ means within a week or two. The EAT concluded that a ‘last straw’ could not revive an earlier breach of contract that had already been affirmed. The position is that letting a breach of contract slide is affirmation. After that point you can’t rely on it to resign on a stand-alone basis. But in the employment context, a number of minor events and breaches of contract can be ‘revived’ (brought in play for the last straw principle by being put back on the camel’s back) in a number of circumstances, for example if ‘letting it slide’ was conditional, or if they can be seen as part of a ‘course of conduct’. The EAT has clarified that if an employee does not complain about a breach of contract by the employer, they lose the right to resign and bring a constructive unfair dismissal claim. Those wanting to know when and how to resign should use it or lose it, as they say.